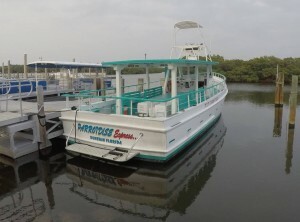 The ParrotDise Express-Dolphin Cruises and More! Our large mono-hull boat and 13.5 foot beam, provides a superior dolphin sighting experience, due to the dolphin’s preference for the larger wake displaced by mono-hull versus pontoon (catamaran style) boats. 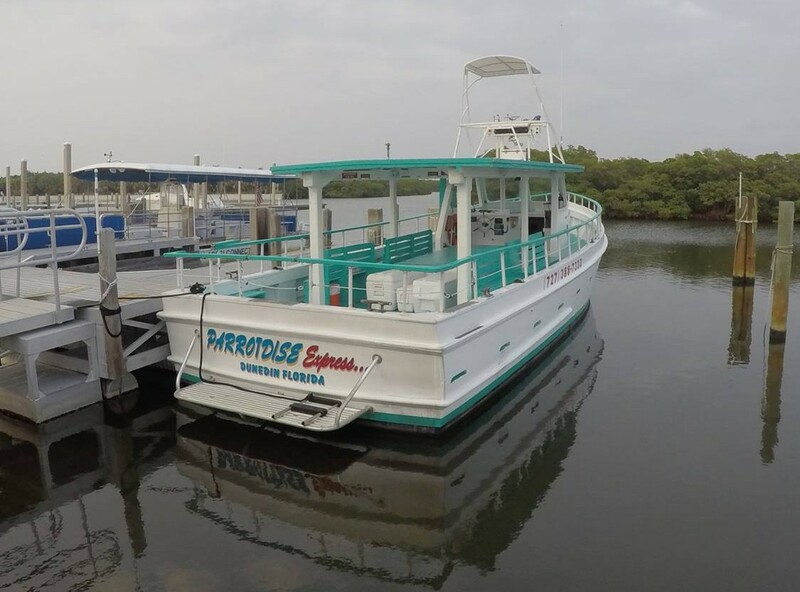 This Coast Guard inspected vessel carries 35 passengers plus crew, and is piloted by a coast guard licensed master and a knowledgeable crew with extensive boating experience.